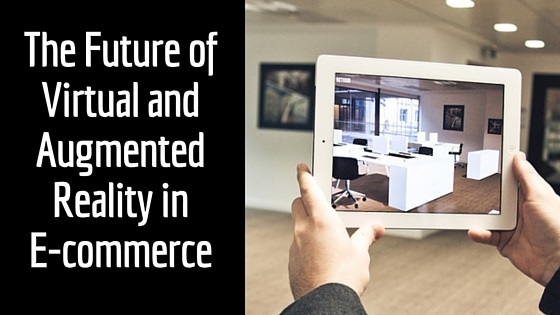 The Future of Virtual and Augmented Reality in E-commerce | BMT Micro, Inc. The Internet has forever changed the way consumers shop. Throughout the past decade, the evolution of technology and the Internet has allowed online businesses to capitalize on consumer needs, enhance customer experience and even increase brand awareness. As a result, online shopping has grown to rival traditional shopping and is even predicted to outperform in-store sales over the next few years. It’s clear consumers are growing more and more comfortable with shopping online. But, the inability for consumers to touch products during the purchase decision-making process still poses a major challenge for online businesses. Fortunately, Virtual and Augmented Reality technologies now promise a solution for this by adding a touch-and-feel factor to online shopping. The overnight success of the popular mobile game “Pokémon Go” has introduced Augmented Reality (AR) into the public eye in an unprecedented manner. But, AR has a lot more to offer besides an opportunity to become a Pokémon master. By definition, Augmented Reality is the integration of digital content with live video and a user’s environment in real time. It allows consumers to use real-life spaces and even their own faces and bodies to virtually “try on” furniture, clothing and more. The biggest advantage of the technology is the fact that it bridges the gap between digital and real worlds. For example, AR Watch (an app from Belgian mobile app developers Underside) allowed customers to “try on” an Apple Watch with augmented reality. The app allowed consumers to see the device from different angles and flip between wristbands of different sizes and colors through a virtual mirror on their iPhone. In a different retail space, IKEA (the Swedish home furnishings giant) found that 14 percent of its customers took home furniture that ended up being the wrong size for its intended space. As a solution, IKEA created an AR catalog app that allows customers to try out select products in their homes with their smartphone or tablet. Augmented reality is distinct from virtual reality in that it offers consumers graphical enhancements to their real, physical environment. With AR, online shoppers are able to fully inspect the product they’re considering purchasing as if it were really there. AR can also give consumers additional information on certain products and the ability to view more options and variations in less time than a physical showroom would allow. The tech industry has promoted the prospect of Virtual Reality (VR) for quite some time. But in recent years, vendors such as Facebook-owned Oculus, Sony, and HTC have helped propel the development of VR (they have also been joined by Microsoft, Google and smartphone makers like Samsung). By definition, Virtual Reality is an artificial, computer-generated simulation or recreation of a real life environment or situation. The most up-to-date virtual realities are displayed either on a computer monitor or with a virtual reality headset. While VR technology is largely associated with the gaming industry, the platform does offer a new set of opportunities in entertainment, advertising and more. We are already seeing major e-commerce brands start to take steps in the virtual direction. For instance, NARS makeup is currently using Facebook 360 Video to offer their customers a new interactive way to click through their 3D makeup tutorials. Dior and Tommy Hilfiger have also been experimenting with VR headsets that offer a 360-degree catwalk experience in-store. It is important to note that being an early adopter of VR technology comes with costs and a long timeline. For example, it can take six months or longer to produce a high-quality 360-degree video. But as low-cost solutions like Google’s cardboard headsets gain popularity, it’s only a matter of time before more brands start experimenting further with this technology. If Augmented and Virtual Reality aren’t of interest to your online business yet, it may be time to start taking a closer look. These technologies are already gaining traction and are expected to change the way we know e-commerce in the near future.